Christi Kapp is a well-respected Management Consultant and Facilitator that has spoken at numerous professional conferences on topics ranging from business analysis, to managing organizational change. Christi’s career has included management consulting, executive leadership, coaching and teaching in the hospitality, training and technology industries. She has also managed performance, as well as the professional development of staff engaged in development and delivery of complex information system solutions, solution sales, training, and customer service. She is an accomplished author also. She has written several enterprise information technology books (Prentice-Hall), a UCF Master's thesis on “Regional Readiness for Homeland Security Information Sharing”, and in 2016, wrote a book chapter titled “Soft Factors Enabling Innovation” in the Apple Academic Press series called Ecosystems and Technology: Idea Generation and Content Model Processing. She has a B.S. Degree from the University of Rochester and a M.S. from the College of Health & Public Affairs at the University of Central Florida. She is active in her local community, doing some volunteer work for Camp Ohana (edutainment for homeless kids), serving on the City of Kissimmee Historic Preservation Board and serving on the board for the NAF Academy for Hospitality and Tourism at Osceola High School in Kissimmee, and as secretary for the Florida Native Plant Society Pine Lily chapter. Her sculptures can be found in outdoor locations as well as the HOPE shelter in Kissimmee . Donna’s training career started with Hyatt Hotels, then moved to the world-recognized Walt Disney World Resort® where she spent 15 years, including 1 1/2 years at Tokyo Disneyland. She managed HR/Training departments for both Hyatt and Disney, as well as leading a customer service department at the Disney telecommunications company. She is Past President of Learning Journey, Inc., which she started in 1989 and former Chief Executive Champion of X Factor Institute, started in 2013 and a division of Learning Journey, Inc. Donna is now retired. Donna achieved her CSP (Certified Speaking Professional through the National Speaker’s Association) and was among the first (making her a CPLP Pilot Pioneer) to earn the Certified Professional in Learning and Performance designation (through the Association for Talent Development). She held both of these designations until recently when she semi-retired from the speaking and training fields. She is co-author of the books, Rock Your Way To Happiness and JukeBox Journey To Success. She has written four other books and produced eight training video programs on topics like customer service, emotional intelligence, telephone skills, and diversity. 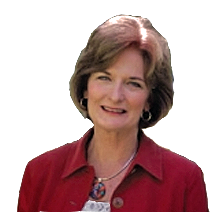 Donna has received numerous awards for leadership and community service including Small Business of the Year in Osceola County, Florida and the Lifetime Achievement Award from the National Speaker’s Association, Central Florida. She has served on the following Osceola County boards: Council on Aging, Annual Charity Ball, Chamber of Commerce (Small Business Council Chair) and United Way (Education Chair). Donna has served as adjunct faculty at University of South Florida; Daytona State College; Valencia College; State College of Florida, Manatee; and St. Johns River State College. Thousands of participants from hundreds of private and public sector organizations have attended Donna’s interactive sessions and participants rave about her ability to make learning fun and meaningful! Donna lives in New Port Richey, Florida with her husband, Bruce Long a retired Walt Disney Imagineering executive and partner with Learning Journey, Inc.
Valerie is an accomplished business leader, consultant, executive coach, and internationally acclaimed speaker, Valerie is a passionate advocate for organizational excellence, cultural change and leadership development. She has extensive experience in operations, people management, training and communication initiatives, quality customer service processes, retention, executive leadership development, and creating a service focused culture. She fully understands the complexities of running a business with a strong background in developing strategic operating plans to meet the goals of the organization. Valerie cultivated her leadership skills during an illustrious 27-year career with Walt Disney World Resort®, a preeminent customer-service-focused corporation. Her achievements include: Rising through the ranks to become the first female executive for Walt Disney World; key leadership roles in Guest Relations, Theme Park Operations, Resort Management and Human Resources, serving as Vice President of the world-renowned Disney University, Disney Business Seminars and Disney Institute; and all teacher and student education programs at the Walt Disney World Resort®. Valerie has received a number of awards including "Citizenship and Service Award" by Duke Energy; citizen of the year in Pilot Mountain, North Carolina and with her husband, co-citizens of the year. She was also honored with the first Excellence Award for High Achieving Women in Central Florida by Mary Darden of Darden Restaurants. In addition, Valerie is passionate about painting and art so started a business for non-artists to enjoy an evening out of painting and meeting new friends called Art & Vine. Valerie lives in Pilot Mountain, North Carolina with husband, Spencer Oberle, a retired Disney resort executive and partner with the Oberle Group.